Your knee is the largest joint and one of the complex joints in your body. It connects your thigh bone and your shin bone together along with your kneecap. Having a back of knee pain can be very inconveniencing and could have you wondering what exactly is wrong. The fact is that your knee joint is vulnerable to injuries like sprains, dislocations, fractures and, ligament tears. One common symptom of knee injury is pain, which may be felt in front or in the back of your knee. Also, some knee injuries heal on their own while others need medical or surgical treatment. In this article, we will try to discuss what can cause back of knee pain, when to see a doctor and how it is treated. Let’s first start by explaining a few things about your knee joint. What Makes Your Knee Stable? Both are found in your knee joint. The anterior cruciate is in front while the other is behind. They cross each other to form an “X”. The anterior cruciate ligament prevents your thigh bone from sliding backward on your leg while the posterior cruciate ligament prevents your thigh bone from sliding forward on your leg. They control the back and forth motions of your knee. They are found on the sides of your joint. They prevent the thigh bone from sliding side by side and controlling the sideways motions of your joint. The knee joint also has two wedge or C-shaped pieces of cartilage called the medial and lateral menisci. They are found between your thigh bone and leg; they act as “shock absorbers”. In addition, you have fluid-filled sacs containing synovial fluid known as bursae. This fluid reduces friction and promotes smooth knee movement. The muscles of your thigh – Quadriceps and Hamstrings are connected to the knee bones by tendons which allow movement in your knee joint. Your knee joint mainly allows for flexion and extension movement and a small degree of rotation. Quadriceps and Hamstrings are the major muscles of the knee. Other muscles which play a small part in the knee movement are the calf muscles – Gastrocnemius and Soleus, and the muscle behind the knee – Popliteus. Although, a hamstring injury is a common injury in athletes who run fast in sports like soccer, track, basketball, and tennis; you can have an injury to your hamstring if you overstretch it. It occurs during sudden explosive movements like sprinting or jumping. It occurs when you overstretch one of the muscles which present as sudden pain and tenderness at the back of your thigh. Pain may radiate to the back of your knee. It presents as severe pain with presence or absence of swelling and bruising at the back of your thigh, and weakness in your leg. It is the most severe form with pain radiating as well as swelling and bruising of the thigh, and inability to use the affected leg. Biceps femoris tendinopathy is when there is an injury to the biceps femoris. It causes pain in the back of the knee. Warming up before exercise or playing sport as well as regular stretching exercise, may help reduce the risk of injuring your hamstring. Most hamstring injuries are cared for at home but if you feel it is severe, you should consider consulting your doctor. Healing of hamstring injuries takes few days to months depending on its severity. The initial treatment involves the PRICE therapy which should be done in the first three days. Protection – protect the affected area from further injury – for example, by using a support. Rest – avoid physical activity and keep your leg still. Your doctor may recommend the use of crutches in severe cases. Ice – apply cold packs to the back of your thigh for 15 to 20 minutes every two to three hours during the day. Don’t apply ice directly to your skin, you can wrap it in a tea towel. Compression – compress by wrapping a bandage around the thigh to limit any swelling and movement that could cause further damage. Elevation – keep your leg raised and supported on a pillow as much as possible, to help reduce any swelling. Acetaminophen, paracetamol or a non-steroidal anti-inflammatory drug (NSAID) cream or gel, may also help relieve the pain. Using over-the-counter NSAIDs like ibuprofen can also help reduce swelling and inflammation. Gentle exercise like walking and cycling and gentle hamstring stretches can be done once the pain subsides. This prepares the muscle so it can cope with its previous normal demand. This is the inflammation or degeneration of the tendon of your gastrocnemius, the muscle at the back of your leg (calf). 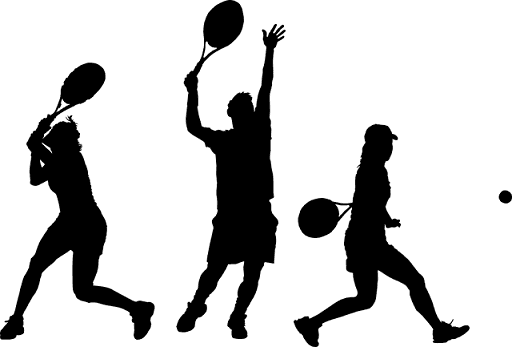 It can be seen in runners or any sport that requires you to quickly go from a standing position to a run — like in tennis or squash. Symptoms include gradual onset pain at the back of your knee. Tenderness and swelling will be felt in your calf muscle and pain is reproduced when you flex your knee. The PRICE therapy (that we earlier mentioned) is recommended in the first three days. Once initial pain and inflammation have been relieved, gentle stretching and strengthening exercises can be done. Pain relievers or over-the-counter NSAIDs can be used to reduce the pain and inflammation. In severe cases, you need to see your doctor; electrotherapy like ultrasound may be used to relieve pain and inflammation. 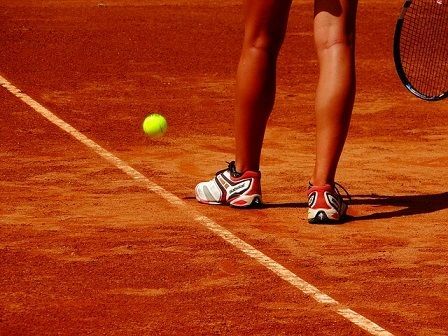 If you are a sportsperson, a knee support (brace) or heat retainer may be necessary. It protects and supports your knee, and keeps the tendon warm when returning to training activities. 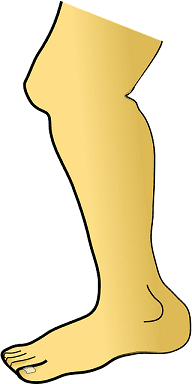 It is the term used to describe the pain caused by a tear of the inner head of your big calf muscle (gastrocnemius muscle), the plantaris muscle (muscle in your lower back of your leg, attaches from the knee to the heel) or sometimes both. There is sudden onset of pain in the back of your knee or calf muscle. The ability to move your ankle will also be affected. Other associated symptoms are bruising and swelling at the back of your leg. Similar to any muscle strain like a hamstring injury. Gentle calf stretching may be done once the pain subsides. Results from injury to the tendon that connect your kneecap to your leg. 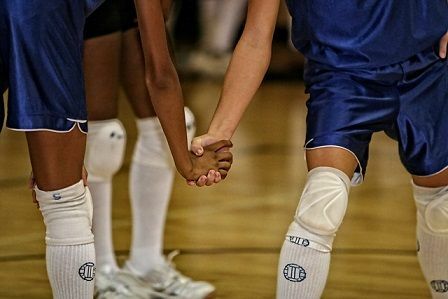 It can happen when you jump or change direction, like when playing volleyball or basketball. You feel pain when you bend and straighten your knee, tenderness, swelling, weakness, and stiffness of your joint. Similar to any muscle strain like a hamstring injury. A swelling filled with fluid (synovial fluid) at the back of the knee; an uncommon condition but it can occur if you have arthritis or torn meniscus. Your knee may produce too much synovial fluid, the extra fluid can build up to form a cyst. It presents as pain in and behind your knee, swelling behind your knee and stiffness and trouble flexing your knee. Baker’s cysts sometimes go away on their own. Rest is important. Avoid any activities which aggravate or make the condition worse. To treat a large or painful cyst or persistence cyst, you need to see your doctor. It’s important to determine if an underlying problem is causing the cyst, like arthritis. You may need steroid injections, physical therapy, or to have the cyst drained. Surgery may be need If your meniscus is torn. Read Also: What Are Bones Made Of? Injury to your popliteus muscle present with pain at the back of your knee. It occurs if you overuse the muscle in running or if you were involved in a road traffic accident or fall, where your knee is extended or over straightened. Associated symptoms are tenderness when pressing in at the back of your knee. Pain will be reproduced when the knee is bent against resistance. PRICE therapy, use of pain relievers, and gentle stretching of your hamstring muscle after the pain subsides should be done. If severe, you need to see your doctor. Deep tissue sports massage to the muscle along with ultrasound therapy may be beneficial. If above treatment fails, a corticosteroid injection may be given to you. These structures are commonly injured by a hyperextension force from the front and inside of the knee joint. In sporting injuries, these soft tissue structures are pulled away from their bony attachments. You will feel pain and a swelling in the back and outside of your knee with tenderness on the lateral side of your knee. There is usually instability at the knee. It depends on the severity of the injury. In a mild case, you will have to wear a knee brace and use crutches but in a severe case, surgery is required. As you grow older, your meniscus weakens and is more likely to tear with any twisting motion. When you tear a meniscus, you might hear a “popping” sound. The pain at the back of the knee occurs after walking on the affected leg. Other symptoms of a meniscus tear are: stiffness in the knee, swelling, weakness, locking of the knee. PRICE therapy relieves the pain and promotes healing. If there is no improvement, then a surgical repair of the torn meniscus is required. There could be a strain or tear in your anterior or posterior cruciate ligament. Injury to the anterior cruciate ligament (ACL) occur if you suddenly change direction while running, land a jump wrong, or you get hit in a contact sport like football. You might hear a “popping” sound. Afterward, your knee will hurt and swell up leading to problems in moving your knee and pain when you walk. PRICE therapy and physical therapy can help heal the strain. If any of your cruciate ligament is torn, surgery is needed to repair it. This is when the cartilage in your knee joint break resulting from overuse, aging or arthritis. The main symptom is a dull ache behind your kneecap which gets worse when you climb stairs or after you’ve been sitting for a while. You might also experience cracking or grinding feeling when you bend and straighten your knee as well as weakness in your knee. Over-the-counter pain relievers and physical therapy can help relieve the pain. Surgery will have to be done to fix the damaged cartilage. It is a degenerative disease that leads to the wearing away of the cartilage in your joint. These are the type of arthritis that can affect the knee. Arthritis is a chronic disease and you need to consult your doctor for appropriate treatment. Arthritis pain can be managed with pain relievers, exercise, and injections. DVT is a blood clot that forms in the deep vein of your leg. It is commonly seen in people over 50 years. Its symptoms include cramping pain at the back of the leg which may radiate to the back of the knee, swelling at the leg, reddish or bluish color of the skin over the affected area. DVT is a serious condition and may lead to pulmonary embolism; you need to see your doctor immediately. Treatment includes using blood thinners, compression stockings and the insertion of a filter into your vein. It is the pain from the tightening of the muscle – the thigh muscles or calf muscles, due to insufficient blood flow and/or tiredness. This pain may radiate to the back of your knee. When you have a cramp, you’ll suddenly feel your muscle contract or spasm. The pain lasts for minutes. You are more likely to experience cramps when you are exercising. Pain from the lower back is referred down into the knee through the sciatic nerve. Or pain from the patellofemoral joint or between the kneecap and thigh bone can also refer pain to the back of the knee. Warming up before sport-activities or exercise as well as sport-massage, relax and stretch the muscle by reducing strain on the tendon and enable the muscle to function better during activity. What Causes A Knee Dislocation? Knee Scooters: Which One Is The Best? 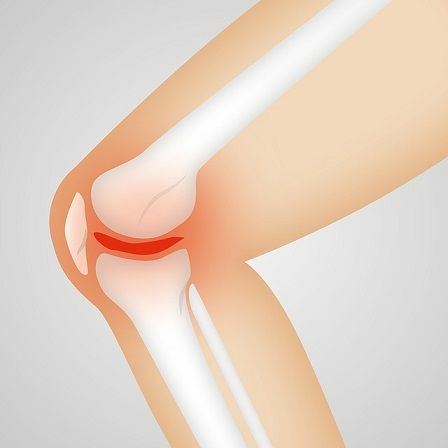 What Causes Pain Inside The Knee?